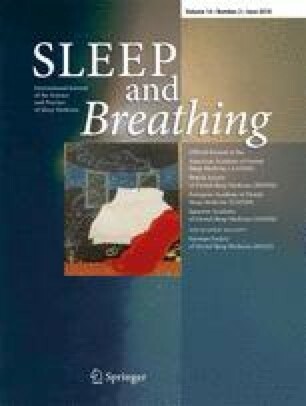 To test the hypothesis that obstructive sleep apnea/hypopnea syndrome (OSAHS) and snoring affect not only the patients but also their bed partners, resulting in increased severity of symptoms of depression and sleepiness that may improve after the patients receive radiofrequency tissue ablation (RFTA) treatment. Thirty-six snoring and/or OSAHS patients from 24 to 63 years of age (mean age 41.67 ± 9.86 years) underwent full-night polysomnography (PSG) and two sessions of RFTA at palatal or palatal and tongue base levels. Follow-up PSG was carried out within the period of 2–3 months after the second RFTA session. The baseline and posttreatment clinical tests battery consisting of Spielberg’s Trait–State Anxiety Inventory, Beck Depression Inventory-Second Edition (BDI-II), and Epworth Sleepiness Scale (ESS) were applied to assess the changes in emotional state of study group patient’s bed partners. Mean apnea/hypopnea index decreased from 13.16 ± 10.76 preoperatively to 10.69 ± 8.28 postoperatively (p = 0.043) for the entire group of the patients. A statistically significant decrease of the mean BDI-II scores (12.69 ± 7.66 preoperatively to 9.17 ± 6.88 postoperatively, p < 0.005) for the entire group of the patients’ bed partners was observed. There was no statistically significant difference between pre- and posttreatment mean daytime sleepiness scores in both OSAHS and in simple snoring patients’ bed partners when measured with ESS. Based on present study results, we conclude that RFTA therapy results in improved depression scores for the bed partners of snoring and OSAHS patients during a short follow-up period, as measured with BDI-II.